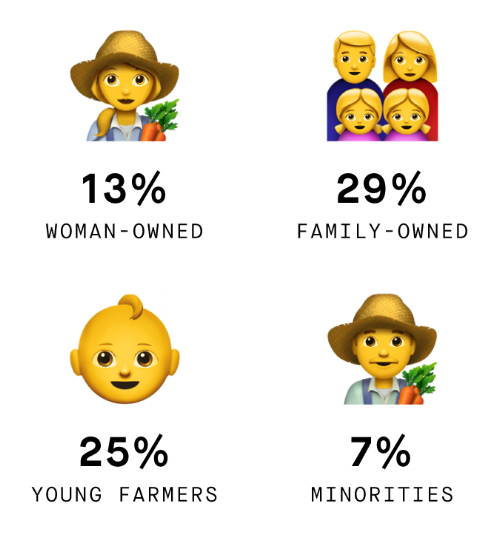 In honor of National Farmers’ Day, and the hardworking folk that feed us: we ran the numbers. The goal isn’t arbitrary KPI’s. But a reminder that our choices—to invest in waste reduction; a sustainable future of farming; and a locally-sourced, vegetable-driven menu—are worth the sweat. 38,250 LBS harvest at the Dig Farm this summer. 8,000 lbs cantaloupe; 4,885 lbs eggplant; 3,550 lbs fresno peppers; 2,050 lbs cauliflower; 1,835 lbs bumblebee tomatoes.